Malaysia’s Mohd Azlan Iskandar claimed the second biggest title of his career when he beat Egypt’s Hisham Mohd Ashour in the final of the Bluenose Classic, the PSA World Tour International 50 squash event in its sixth year at St Mary’s University in Halifax in the Canadian province of Nova Scotia. It was the pair’s sixth Tour meeting in the last six years, with the 28-year-old from Kuala Lumpur boasting a 4/1 lead. But third seed Ashour has enjoyed the best phase of his career since their previous clash in March 2009, and now boasts a career-high world No17 ranking – just four places below Iskandar. After the first two games were shared, second seed Iskandar moved ahead after winning the third. “To start game four, it was all Iskandar as he quickly mounted a 6-2 lead as Ashour’s aggressiveness was causing many of his shots to clip the tin,” said event spokesman Jon Boody. 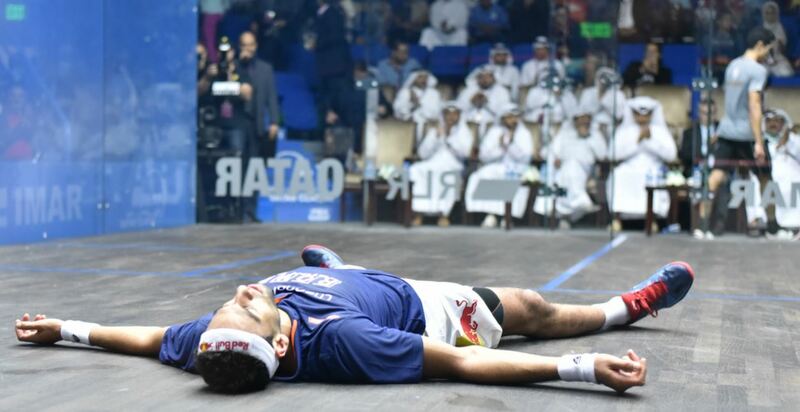 “Over the next three points, Ashour was awarded a stroke and hit two off-speed backhand winning drives to pull within one point at 5-6. A crosscourt slam from Iskandar put the score at 7-5. Iskandar’s 11-8, 8-11, 11-9, 11-7 victory in 53 minutes gives the Asian champion the 14th Tour title of his career – but his first in Canada.